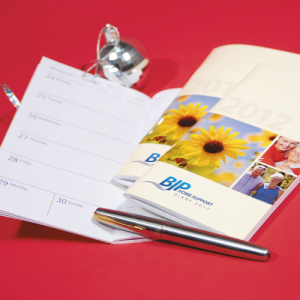 Keep in touch with your customers 365 days a year! 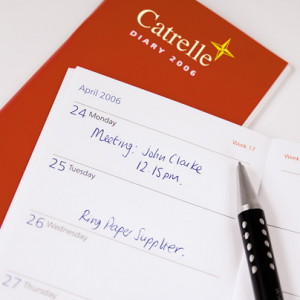 Promotional diaries make great communication tools for your customers, plus the added bonus is your message is in front of clients every day! 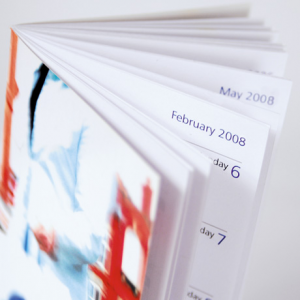 They display one week per page and come complete with a full colour 100% personalisable thick cover. 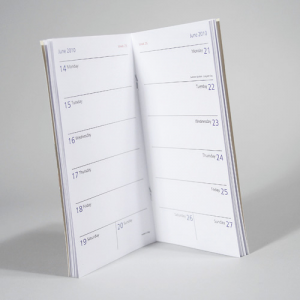 We'll design the front, back and inside cover just for you.